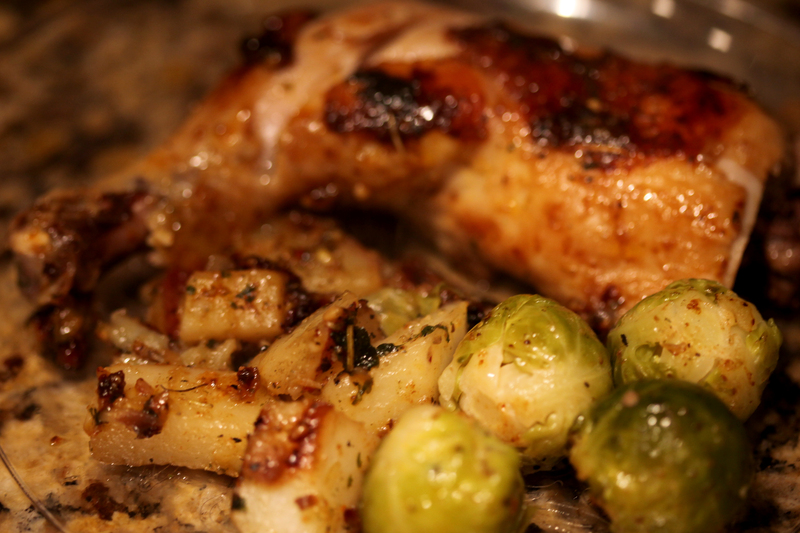 On a rare occasion, I have a craving for some really juicy rustic chicken with a side of potatoes and brussel sprouts. I’m a dark meat fan. Give me some juicy tenderness and flavor. 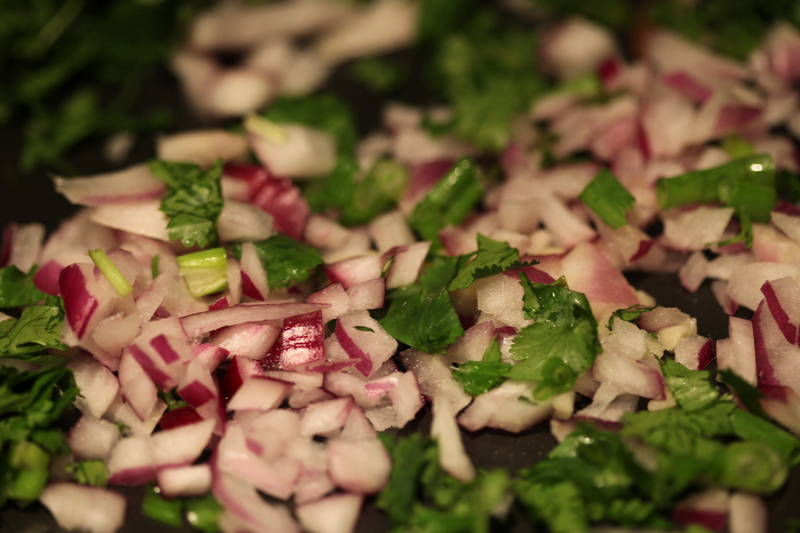 To start off, I chopped some red onions, green onions, and cilantro. I sauteed these in the pan with some minced garlic and spices. Salt, Cavenders, ginger, and garlic blend. 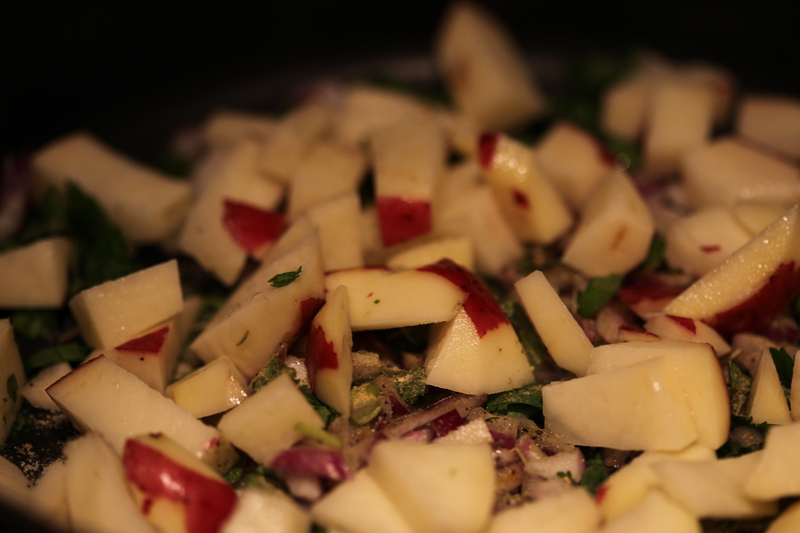 Next, I chopped some red russet potatoes to add to the mix. Since I am trying to maintain a fairly low-carb diet at home, potatoes are a rare and coveted treat. 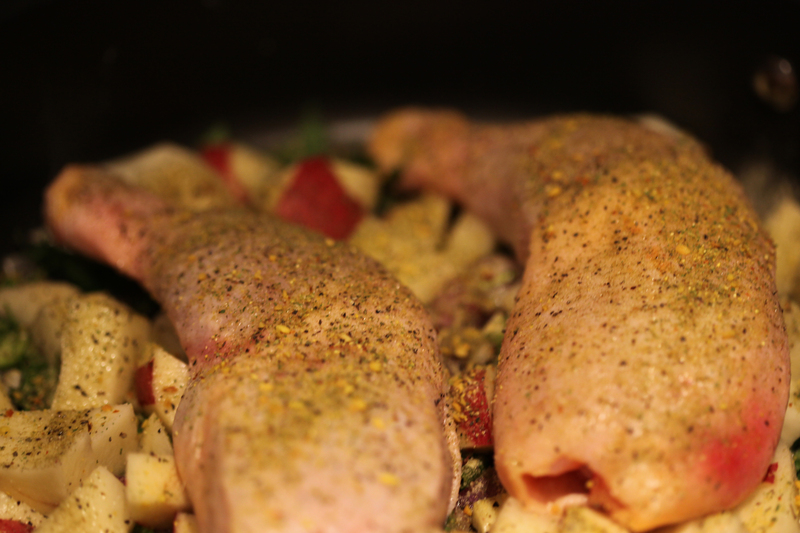 Last, I added two chicken legs which I covered with all the same seasonings. I laid the chicken right on top of the potatoes, covered the pan, and let it cook. You could cook the vegetables and meat in separate pans to better control the heat, but I wanted the flavors to just meld together. While the pan was cooking, I washed some brussel sprouts to add to the dish. Just enough to balance out the potatoes and offer a little fiber. They’re also known to be a great food to help fight cancer, and they lower your cholesterol when steamed. Keep saying you hate brussel sprouts, but they take care of you. In under an hour including prep time, the chicken was cooked through perfectly. The skin browned in a few spots to add a little crisp, the potatoes similarly partially crisped, and the brussel sprouts just soft enough to eat. This was such a savory meal. I can’t wait to have leftovers. Total cook time, 40 min plus 10 min prep. Calories, approx 380 per serving. 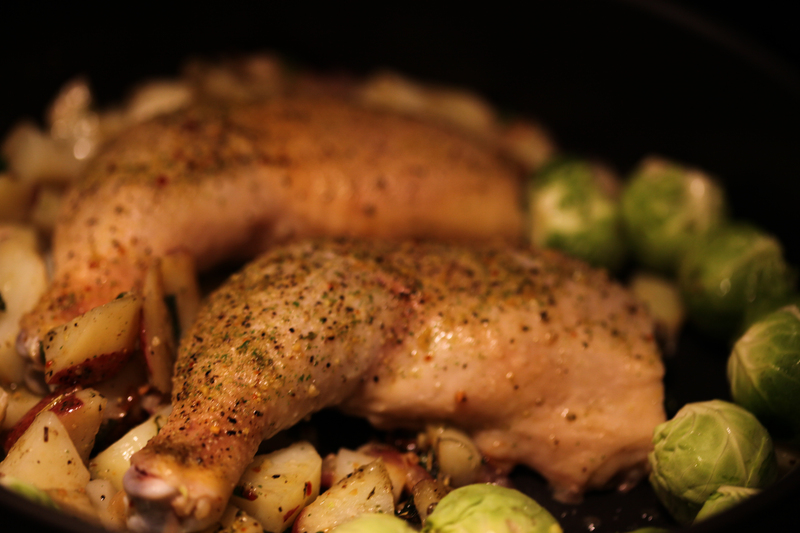 Dark meat is my favorite too, and I could eat Brussels every day for the rest of my life … I am going to have to try this recipe it looks SO good.